Server migrations are a fact of life for any data-dependent business and due to the sensitive nature of data, careful planning is absolutely critical for a successful migration. Businesses typically migrate servers for increased capacity, faster response times, and a host of other important benefits. Whether you anticipate migrating servers in 5 months or 5 years, it’s never too early to take these planning tips into consideration. The first consideration is determining the type of server you need. There are many more options available today, than just a few short years ago, so it definitely pays dividends to take the time to explore all your options and find a solution that fits both your current and future needs. If you prefer a hardware based solution, you will need to decide whether you need a Windows or Linux based server. Both options have pros and cons, and the right choice means looking at the type of data you are housing, the expertise of your IT staff, and the training requirements within your company. Not all server migrations are hardware based however. You might benefit from an Azure server, a cloud-based solution that houses your data securely and provides on-demand access from anywhere there is an internet connection. The decision between a hardware and cloud based server depends on a number of factors such as your internet connection speed, the amount of data you need to store, and the bandwidth you have available. You will also need to ensure the systems and software currently in use is compatible with your proposed server migration solution. It is also important to note that there are limitations with both hardware and cloud based servers. For this reason, we highly recommend you contact the support team at Ontech Systems before you schedule your server migration or make a final decision. We are ready to answer all your server migration questions. We can even conduct a free Network Discovery to evaluate your network and recommend security enhancements or ways to streamline your IT costs – no cost or obligation required. The timing of your server migration is also of great importance. The best time to make the switch is often dependent on the nature and age of your existing servers. 3 Years: Start thinking about migrating the server as soon as your hardware is three years old. 5 Years: By the time your server is five years old, it’s time to get serious about an upgrade or replacement. 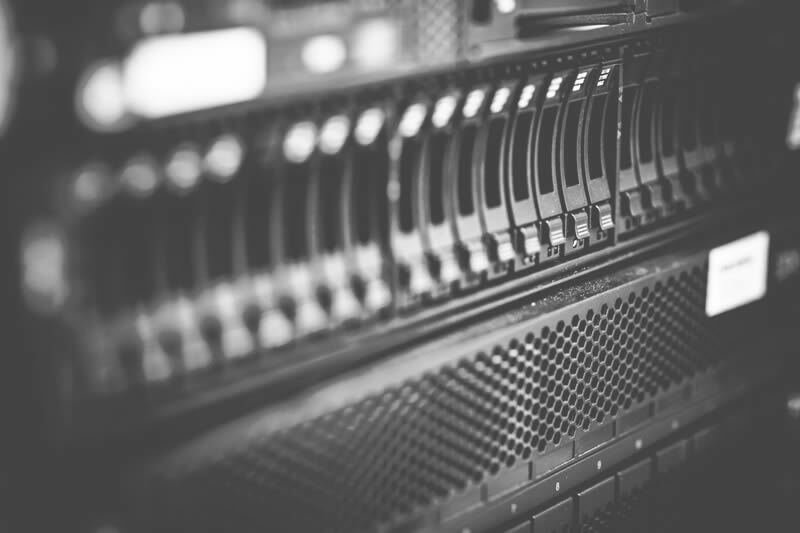 Older servers are more prone to problems than newer hardware, and a timely migration can ensure the integrity of your data and help you avoid costly downtime. In addition, one other consideration is whether you should wait for your current ERP system to be cloud compatible – it could save you from buying an expensive server you might not need. When scheduling your server migration, think about the slow times for your business. If summer is slow for your organization, then this would be the perfect time to schedule the migration. If the holiday season is your slowest time of the year, migrating your servers at that time makes a lot of sense. Even the most sophisticated servers have a limited lifespan. If your servers are using outdated hardware and unsupported software, it is time to schedule a migration. If the servers in your data room are older models and their operating systems are no longer supported, you may need to make the switch sooner than later. The presence of outdated software and operating systems puts your network at risk, and the sooner you initiate the migration, the quicker you can eliminate those risks. In some cases, you might be able to delay a server migration by extending the warranties on your hardware and software. But the feasibility of this option is dependent on a number of factors such as the age of your hardware servers and the support level of your operating systems. If you are still using Exchange Server 2003 or Windows Server 2003, now it is time to begin the planning process. These products are no longer supported which means no more security patches or critical upgrades. Using unsupported products is the equivalent of operating on borrowed time. If you don’t yet have a plan for your server migration or you have questions, contact Ontech Systems today or call us at 262-522-8560. We speak a language you can understand, which is one of the ways we have maintained 98% of our clients since our inception – one of the highest client retention rates in our industry. Don’t wait for a breakdown or security breach – it never hurts to start planning early. Whether you’re considering a hardware or cloud based migration, the expert staff at Ontech Systems are here to help. Just give us a call today at 262-522-8560 and we’ll make sure your server migration is a success with as little downtime as possible.